1. A crowd of people were waiting by the side of the lake. Who were they waiting for? a) Jesus and His friends. b) An important man named Jairus. 2. What was the name of the rich man who was sad and troubled? 3. Why was this rich man so sad? a) His only daughter was very sick. b) His servant was very sick. 4. What did he ask Jesus to do for him? a) To pray for him. 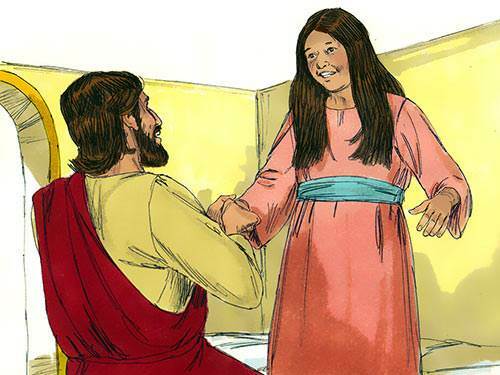 b) To come and lay His hands on his daughter and make her well. 5. How did Jesus feel about going with Jairus? a) He forgot He was tired and started to go to Jairus's home. b) He didn't want to go and help. 6. After the messenger had brought the news that the little girl had died, what did Jesus say to the father? a) "Your little girl is in heaven." b) "Do not be afraid, just believe, and your little girl will be made well." 7. Did Jairus believe Jesus would help them in their trouble? 8. What happened when Jesus spoke and said, "Little girl, arise"? b) The mother started to cry. c) The little girl's eyes opened and she sat up. 9. 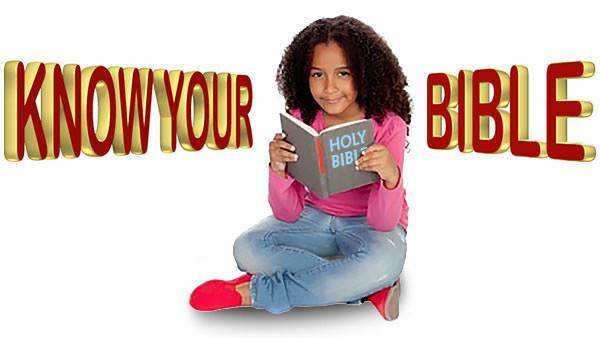 What did Jesus tell the father and mother to do for their little girl? a) Give her something to eat. b) Keep her in bed for a few more days. 10. How did the parents feel when Jesus went on His way? a) Thankful that Jesus had healed their daughter. b) Upset that Jesus had not stayed with them for a while.